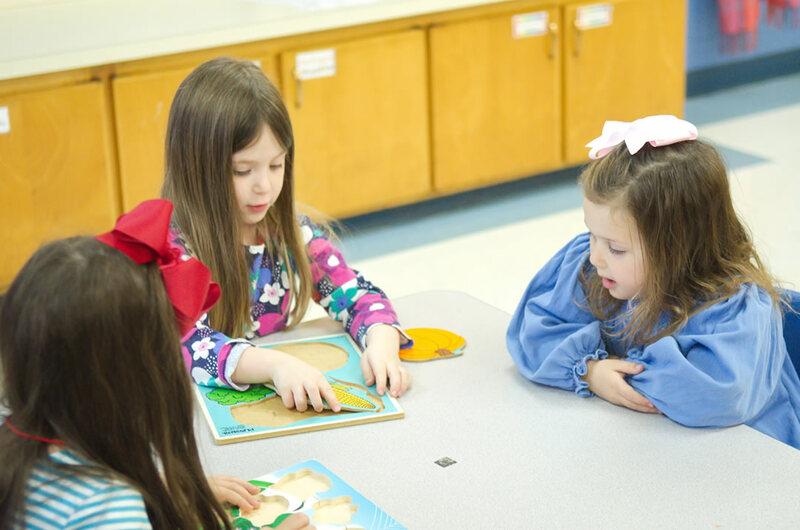 At Immanuel, we recognize that the preschool years—birth through Kindergartners–are filled with astounding growth and rapid development when foundational truths are being formed. Our Preschool Ministry wants to partner with you, offering encouragement and support as you “train up your children in the way they should go”. Our goal is to provide preschoolers with experiences that enable them to hear about the love of Jesus, know the Bible is a special book about God, and begin associating God and Jesus with feelings of wonder, love, and happiness. Our loving, nurturing staff members have been thoroughly screened for security. Sunday School — Every time younger children come to our Sunday School classes, they are taught truths from the Bible. We use Bible stories, songs, verses, pictures and related activities with our preschoolers to make Bible learning meaningful and exciting while caring for their spiritual, emotional, and physical needs. Children are placed in classrooms by birthday. Classes are held at 9:45. Mission Friends — During Mission Friends, preschoolers–2 years old thru Kindergarteners– will be introduced to the ideas of helping others as we study missionaries and cultures from around the world and those in our own community. Preschoolers will experience missions through Bible study, mission projects, crafts, games, testimonials and more. Mission Friends meets quarterly: December through February and June through August. Preschool Choir — God’s gift of music is an awesome way to praise our Heavenly Father and to teach children God’s Word. During preschool choir, we reinforce gospel truths using voices and instruments to “make a joyful noise unto the Lord.” Preschoolers lead church-wide worship with two choir performances each year. Preschool Choir meets quarterly: March through May and September through November. Extended Teaching Care — ETC classes are available to children birth through Pre-K during our worship service times. These classes offer a special environment for preschoolers to feel loved and cared for by parents and other volunteers who serve on a rotating basis. 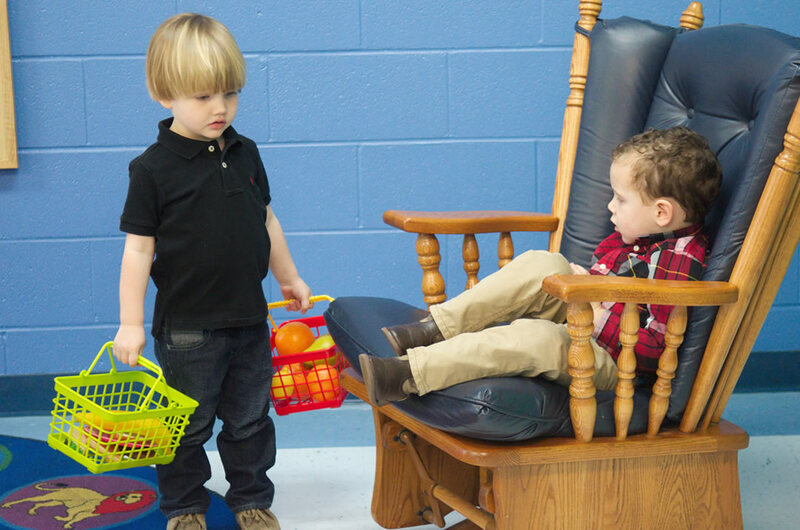 Older preschoolers participate in Bible stories, music, crafts and games.